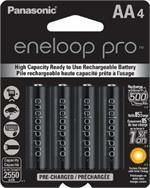 BQ-CC75-AA2550‏ : VALUE PACKAGE - Smart Charger & 4 x AA 2550mAh eneloop pro READY-TO-USE rechargeable NiMH batteries. NEW IMPROVED CHARGER MODEL. 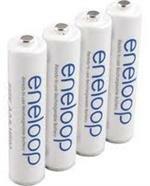 Battery cells arrive pre-charged, and they RETAIN THEIR CHARGE when not in use. 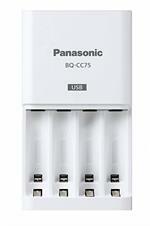 The BQ-CC75 wall charger has flip-out prongs on back, and plugs right into wall outlets worldwide 100-240VAC input). 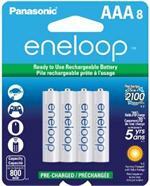 It has 4 separate charging channels - each cell is charged individually. Each channel has a separate LED charge status light. 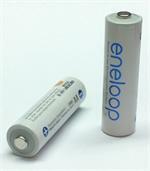 Fully re-charges AA batteries in under 4 hours; has automatic peak detect function - each channel stops charging when the battery in that channel reaches full charge. 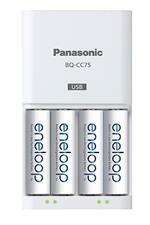 The BQ-CC75 charger will charge virtually all brands and capacities of AA & AAA NiMH cells. It also has a built-in USB2.0 1A charge port on the side; this enables you to charge smartphones & other mobile devices ! 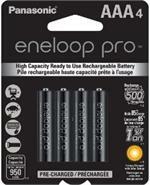 BQ-CC75-AA2000: VALUE PACKAGE - Smart Charger & 4 x AA 2000mAh eneloop READY-TO-USE NiMH batteries. Smart Charger has 4 separate charging channels - each cell is charged individually. 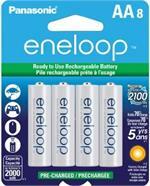 Fully re-charges AA batteries in under 4 hours.